Ashcool will give +20 vote points to everyone who report part of Loremaster achievement as achievable. Vreau sa fac o urmarire a questurile deja reparate/unde trebuie sa ne axam sa reparam questuri pentru a va putea oferi posibilitatea de a face loremaster mai repede. 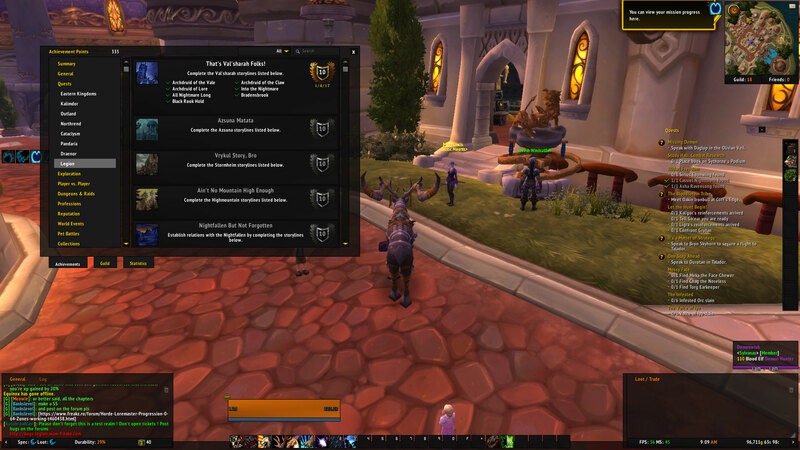 I want to track the already fixed quests and to know where to focus our quest fixing in order to provide you the option to make loremaster title asap. I want proof for every zone that works, a screenshot. / Vreau dovada pentru fiecare zona, screenshot. Rewarded vote points for those who reported working parts of Loremaster achievement. At least 11 quests do not work, and I only need 10 http://imgur.com/qfSlIdB. This quests have been reported, except Avruu's Orb because you need to bring him down to 15% health, which with a 110, is little complicated and ones involving PvP. Added vote points. If you haven't received yours please contact dracusoru93.